Srbuk is going to represent Armenia in the Eurovision Song contest 2019 with their song “Walking Out”. 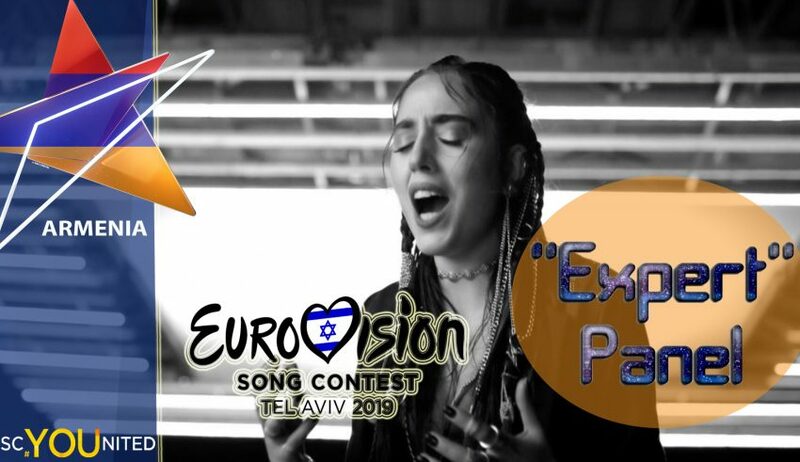 The young and talented singer was selected internally by the broadcaster and was one of the first acts to be announced this Eurovision season. However, she was also one of the last acts to reveal the song to the public. The ESC United Not-So “Expert” Panel is reviewing the entry, sharing their thoughts and of course, overall score. Where does Armenia end up in our Ranking so far? Watch our video to get our detailed thoughts and scores and don’t forget to vote in the poll. What score do you give to the Armenian entry? Will the reader’s results differ greatly from ours? We’ll find out soon enough. You can find the team’s individual score in the video description box. Previous article Madonna will be an interval act at Eurovision this year!